Do you own the commercial business? Are you looking forward to learning more about what is involved in your commercial flat roof repair? Do you own commercial real estate? Then it is quite essential to inspect your commercial roof on a regular basis. Flat roofs tend to encounter a variety of issues and should you experienced any problems with your commercial roof a skilled commercial roof expert is the best option. Roofing repair by qualified commercial roofers in Houston Texas involves a thorough inspection of the overall condition of your commercial roof. The roofer will examine the entire roof for signs of any wear. Your commercial roof expert will be able to pick up on even the most minute issue. As the leading roofers in Houston Texas, we put this commercial flat roof repair guide together for your convenience. The existence of debris on your commercial flat roof. Water Leaks on your commercial flat roof. Any drainage issues indications that can be seen. Any exterior building damage as a result of a leaky roof. Disfiguring of structural roofing systems. As one of the top roofing companies Houston Texas, we have skilled roofing professionals experienced in commercial roof inspection and repair. Common Commercial Flat Roof Repair options may include; replacement of metal flashing, the jutting of caulk effects on your commercial roof and the repair of your roof seams. Another common repair involves the coating of your commercial metal roof. Coating your commercial flat roof may increase the lifespan of your roof as well. You get the benefit of type A fire resistance for the roof for both, combustible and non-combustible protection. Benefits of Class 4 A hail protection and resistance to hurricane power winds. Provides adequate solar reflectivity that eventually decreases energy prices. Benefits of a sturdy waterproof membrane. Gives the roof a fresh and new look. Provides resistance to numerous issues like cracking, chipping, etc. We are the best Houston TX commercial flat roof repair company with a professional team who are experienced installing, repairing and inspecting commercial flat roofs. So, the factors, as mentioned above, are essential to consider when comparing commercial flat roof repair quotes. If you are in the market for a roof repair and are looking for quotes, feel free to contact us, and we will assist you further in choosing the right kind of roof inspection and repair options as per your requirement and budget. 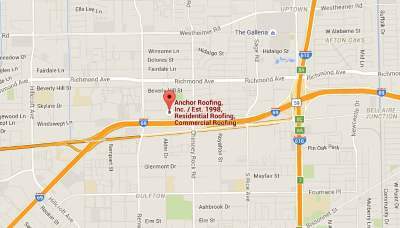 We are also the top-rated Houston roofing supply company for commercial flat roofs. Contact us for roofing contractors Houston for high-quality roofing services at affordable cost.